Gov. 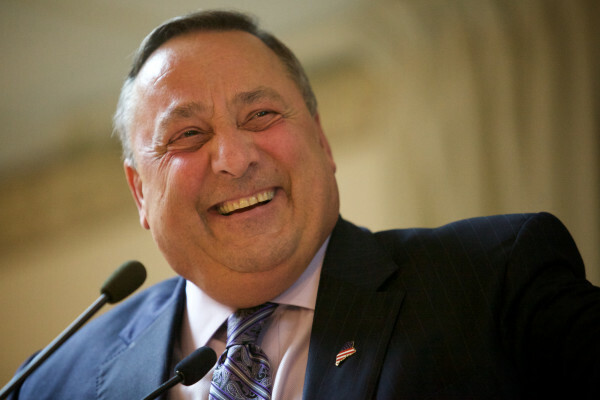 Paul LePage smiles on stage at a Republican rally in Portland on Nov. 3, 2014. Maine Attorney General Janet Mills listens after swearing in employees in Bangor on Jan. 9, 2015. PORTLAND, Maine — Lawyers for Gov. 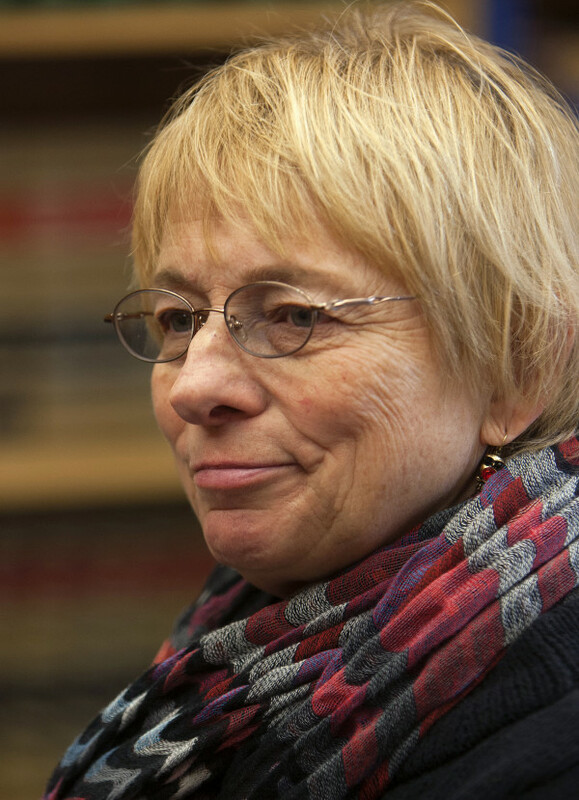 Paul LePage and Attorney General Janet Mills on Thursday took the latest clash between the two political foes to the state’s Supreme Judicial Court, which heard oral arguments on whether the governor should be allowed to hire outside counsel without Mills’ approval. The court proceeding represents the latest salvo in the long-running battle between LePage and Mills, but its implications could outlive both of them. If LePage is successful in winning the right to pursue his policy agenda through litigation, without involving the attorney general, it will represent a significant expansion of executive power. The course of oral arguments and the questions posed by the five justices who took the bench Thursday indicated that the law court’s answer may hinge upon the extent to which Mills is controlling LePage’s litigation. The Republican governor asked the Maine Supreme Judicial Court in January to issue an opinion about whether he must continue to seek Mills’ approval in two cases for which she has declined to represent the state. In both cases, Mills, a Democrat, decided LePage’s cases were without legal merit. One is a dispute between the state Department of Health and Human Services and the federal government about whether the state could drop some 19- and 20-year-olds from its Medicaid roles. Rebuked in federal court, LePage has asked the U.S. Supreme Court to weigh in on the Medicaid case. The other is a lawsuit filed against the state by Portland, Westbrook and the Maine Municipal Association over LePage’s unilateral change in state policy as it relates to aid for undocumented immigrants. Both cases are ongoing, and LePage says a decision from the law court is needed soon because it could affect future filings in the Medicaid case. In a brief filed earlier this month, Mills said the court should ignore LePage’s questions, arguing they do not represent the “solemn occasion” required by the state constitution before the supreme court gets involved in such questions. In a response, LePage said his question is unanswered by existing law and precedent and that the court must give its opinion in order for him to continue with two lawsuits he’s litigating without Mills. If the attorney general refuses to represent the governor, acting as the state’s chief executive, in court, the state must obtain her permission to hire an outside attorney. In both the above cases, Mills allowed LePage to hire his own lawyer, but LePage is concerned, under current law, that permission could be rescinded. At each stage of litigation in the two cases in question, Mills has told the governor how much he should spend for appropriate outside counsel. However, it’s unclear whether that constitutes a cap on LePage’s legal spending, or simply legal advice from the state’s highest attorney. Justices took particular interest in the Medicaid case, for which Mills not only refused to represent LePage’s administration but filed as an intervenor in opposition to him. Crucial to LePage’s question is a 1989 case, Superintendent of Insurance v. Attorney General, in which the court ruled that state law “directed the attorney general to control state litigation and consolidated control in his office without mandating representation in all cases.” The court also ruled that in cases when the AG opted not to represent the state, he or she must allow the state to hire outside counsel “unfettered and uninfluenced” by the attorney general. However, Assistant Attorney General Phyllis Gardiner, who represented the AG’s office Thursday, said Mills only set spending limits on the Maine Municipal Association case, for which Mills is not an opposing party the governor. In the Medicaid case, in which Mills has opposed LePage in court, she only offered suggestions about what outside counsel should reasonably cost. “We have not sought to enforce that estimate, which is always provided,” she said. Gardiner said that if LePage opted to move forward with spending in excess of the AG’s advice, he was free to do so. Chief Justice Leigh Saufley asked Lusk whether the governor would be satisfied if the AG made it more clear that, in the Medicaid case, her communications “were explicitly stated as advice, and not a cap” on the amount of money he could spend. “I think it’s fine for her to give unsolicited advice, your honor, but I don’t see why, in a situation where she’s opposed to us, she would be advising us,” Lusk said. Other justices asked what role in litigation the attorney general should play after she opted not to represent the state. The superintendent case is instructive, but its instruction that the AG may “direct” all state litigation is open-ended, leaving room for debate about what constitutes direction and what doesn’t. “Your position is that the governor has the right to spend with no accountability?” he asked Lusk. However, Lusk said there is accountability for the governor, with or without the attorney general. She also hinted at LePage’s contention the attorney general does not represent the people of Maine but the lawmakers in the Legislature who elect her. LePage has said he wants to change Maine’s constitution so that the AG will be a popularly elected position, as it is in 43 other states. “Someone elected by 300,000 people in the state of Maine has just as much fiscal accountability to the people as someone who is elected by an unknown number of people in the Legislature,” she said.